Located at the mid point of the wonderful forty-block Virginia Beach Boardwalk. The beach is right outside your back door! Our oceanfront hotel is within walking distance of many of the best restaurants, events, and attractions Virginia Beach has to offer. Enjoy your delicious breakfast while watching the dolphins (or the whales!) frolick just past the shoreline. And it's wonderful to sit and have breakfast while watching the sun rise! Our expanded breakfast area is great for families who want a bit more space to get everyone together. Small groups also hold meetings in this area for lunch meetings or small social gatherings. Your Morning Breakfast is full of hot and delicious options, making breakfast at the Comfort Inn & Suites Virginia Beach Oceanfront the perfect way to start your day. Enjoy our free hot buffet breakfast featuring eggs, bacon/sausage, yogurt, fresh fruit, assorted cereal, breads, muffins and pastries while you watch the dolphins and the whales (in our off-season) swim and play! It's wonderful to also be able to make your own waffles--either plain or flavored and also pancakes. You have three areas where you can enjoy your breakfast or just have a cup of coffee or tea while still seeing people walk or run on the Boardwalk, see the sunrise, or just watch the waves crash on the shore. 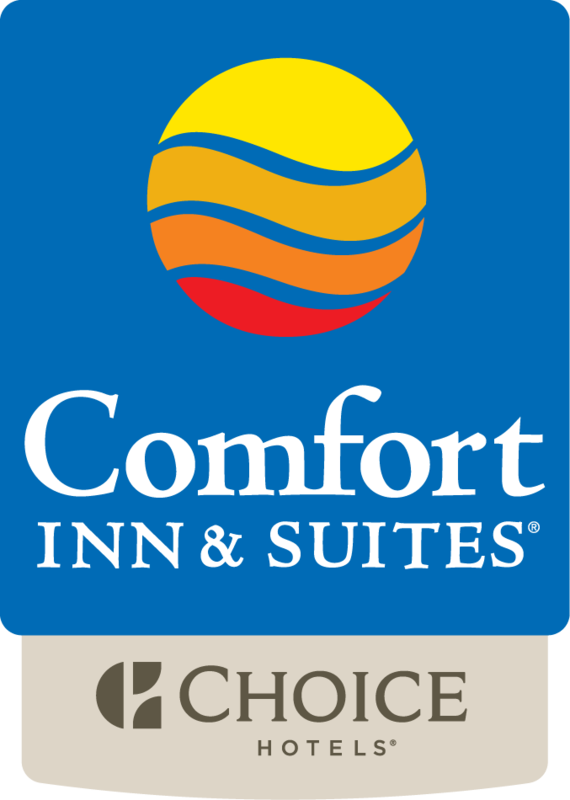 Comfort Inn & Suites Virginia Beach Oceanfront is located near live entertainment, outdoor recreational activities, shops, restaurants and exciting nightlife along Virginia Beach. The hotel features oceanfront rooms with separate living areas, microwaves, refrigerators, coffee makers, and private balconies. Select either a one bedroom suite with separate living area or standard rooms that have two separate bedrooms with queen size beds in each room. Non-smoking rooms are also offered as are handicapped accessible rooms. Our Virginia Beach hotel also offers great packages for Golfing, Whale Watching, Virginia Wine Fest, Holiday Lights, New Year's Eve, and Romantic Getaways. Whether traveling for business or pleasure, the Comfort Inn & Suites Virginia Beach Oceanfront hotel offers you more than just a room--we offer you a home away from home with a magnificent oceanfront view and beautiful sunrises.